The rich flavor and flawless texture of milk chocolate makes it hard not to give into its creamy craving, and yet Wilbur chocolate takes the experience to another level. Using only the highest quality cocoa beans, sweeteners and milk, Wilbur milk chocolate has mastered just the right blend to provide a perfect melt-in-your-mouth indulgence in every bite. 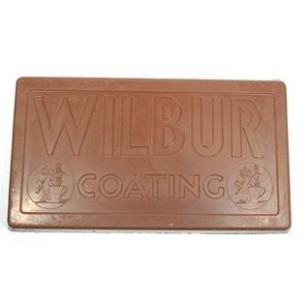 Wilbur milk chocolate coatings are so smooth and versatile that it’s easy to achieve the perfect consistency and taste in any delicious glaze, shell or mixture. As a top online distributor of the very best brands in milk chocolate, Royal Wholesale Chocolate makes stocking up on all of your favorite products easy allowing you to buy bulk orders directly online. You can buy Wilbur milk chocolate, white chocolate, chocolate buds and more in a variety of baking-friendly shapes with just a couple of clicks. Let Royal Wholesale help you with all of your bulk chocolate and confectionery needs.